Microsoft announced at its partner conference on Monday that it is buying Perceptive Pixel, the New York-based company started by multitouch pioneer Jeff Han. The company is perhaps best known as the maker of the technology behind the giant touchscreen used by CNN. Terms of the deal were not announced. 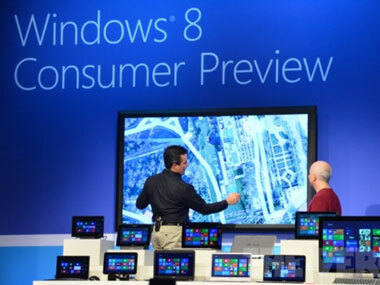 Perceptive Pixel had shown off a giant display running Windows 8 at a Microsoft event in Barcelona in February. Han told AllThingsD in 2010 that the company was working on adapting its technology to run on more kinds of devices. Interestingly, though, Microsoft is making Perceptive Pixel part of its Office unit.